The primarily residential 12th arrondissement may not figure on many “must-see” lists in Paris, but it certainly has a lot to offer. From magnificent public parks to centuries’ old markets, read on to discover our top 8 ways to experience la vie parisienne in the 12th arrondissement. Also known as the Coulée Verte, this 4.5km path may be the capital’s most original park. Nestled amongst Paris’ gorgeous rooftops, the Promenade Plantée is the ideal spot to get away from the hustle and bustle of the busy city streets below. Running along what was formerly an elevated railway track, the space was transformed into a public park in 1993. Now, an abundance of trees and plants create a quiet oasis that stretches from Place de la Bastille to the Bois de Vincennes. While you’re in the area, make sure to stop in at one of the many art galleries and shops in the Viaduc des Arts, a converted viaduct located below part of the Promenade along rue Daumesnil. 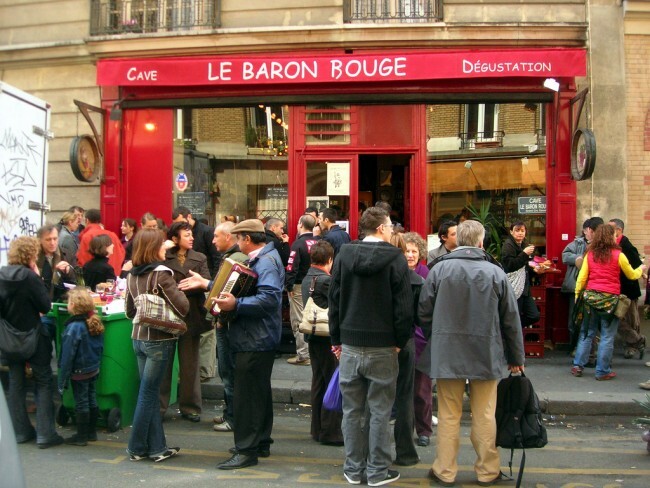 With the barrels and bottles lining its walls, you’d be hard-pressed to find a more classic Parisian wine bar than Le Baron Rouge. This tiny spot is a local favorite for its very reasonable prices and convivial atmosphere. Select your wine from the chalkboard behind the counter, order a plate of cheese and charcuterie, and nab a spot at one of the tables spilling out on to the street. On the weekends, come early to snag some of the fresh oysters shucked on demand on the sidewalk. 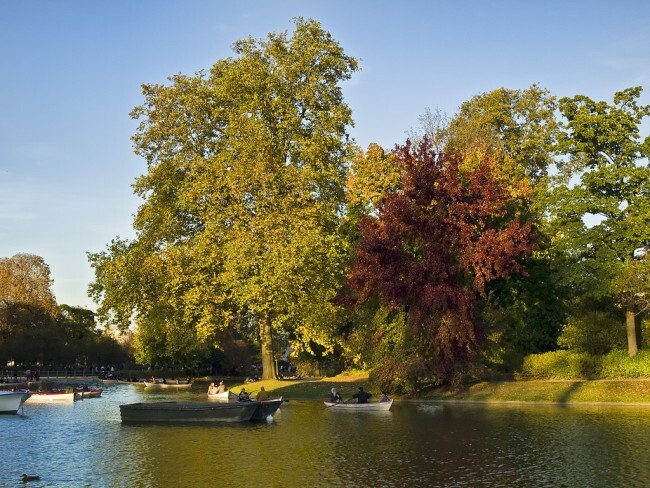 Paris’ second largest public green space (after the Bois de Boulogne in the 16th arrondissement), the Bois de Vincennes offers a huge array of activities for visitors of all ages and interests. Become one with nature in its arboretum, make a new furry friend at its zoo, or go back in time at the 14th-century Chateau de Vincennes. The site of many events during the 1900 Summer Olympic Games and a former military training ground, the park is an ideal spot to get active with a rousing round of mini-golf, a boat ride in the man-made Lac des Minimes, or a jog across the park’s nearly 1,000 hectares. Bois de Vincennes also hosts numerous free events during the summer, ranging from jazz concerts to theater productions. Formerly called the Palais Omnisports de Paris-Bercy and Bercy Arena, this arena has hosted competitions of nearly every indoor sport imaginable. 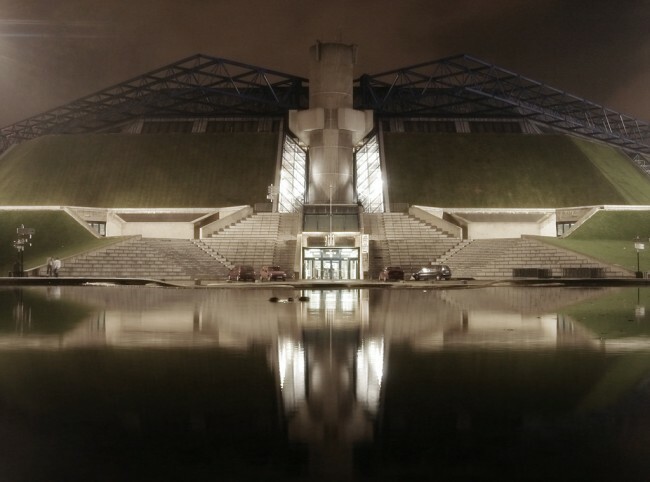 Recently re-baptized the AccorHotels Arena, locals still refer to it as Bercy, and it’s large capacity (over 20,000) makes it the go-to spot for any visiting superstars. In the past, it has welcomed artists ranging from Iron Maiden to Beyoncé, and this summer’s big headliners include Adele, Bruce Springsteen, and Justin Bieber, among others. Paris is well-known for its market culture. 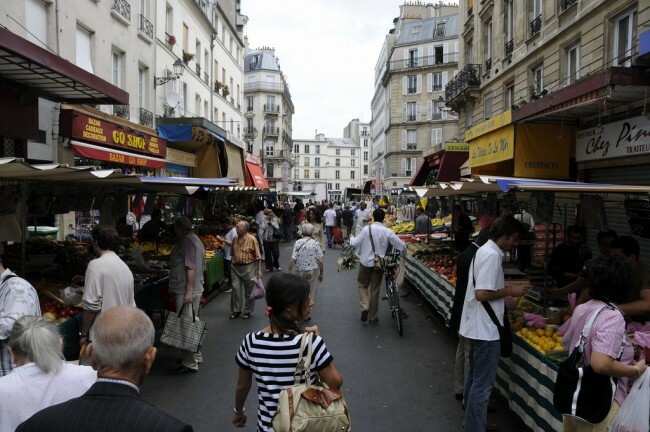 Yet while the city streets host numerous small markets every day of the week, the combination of the outdoor stalls of the Marché d’Aligre and the covered ones of Marché Beauvau are hard to beat in terms of size, variety, and price. Dating back to the 18th century, the markets are now home to over 100 different vendors and offer everything you need to create your own feast: a bounty of fresh produce, racks of cured meats, and cases full of cheese. 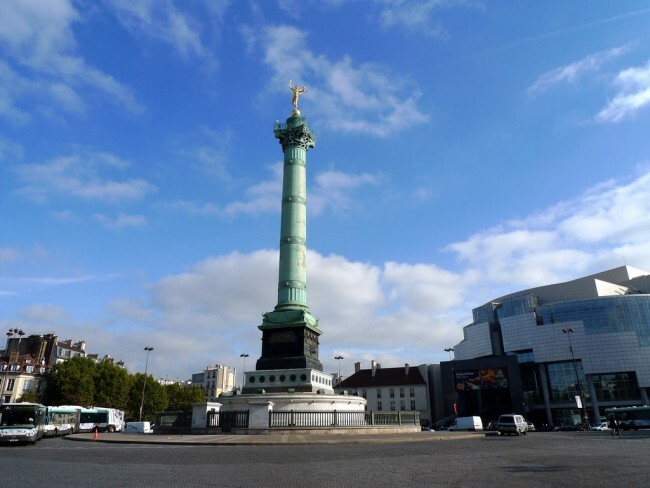 Place de la Bastille has a long and significant history. Originally the site of a fortress constructed in the 14th century, it was transformed in the 17th century into a prison housing mainly political prisoners and others who were perceived as a threat to the House of Bourbon’s reign. After the prison was liberated with the Storming of the Bastille during the French Revolution, the site was turned into a public space celebrating liberty, which the July Column standing at it’s center is meant to signify. Today, Place de la Bastille stands as the epicenter of several arrondissements and is surrounded by restaurants, shops, and even an opera house. 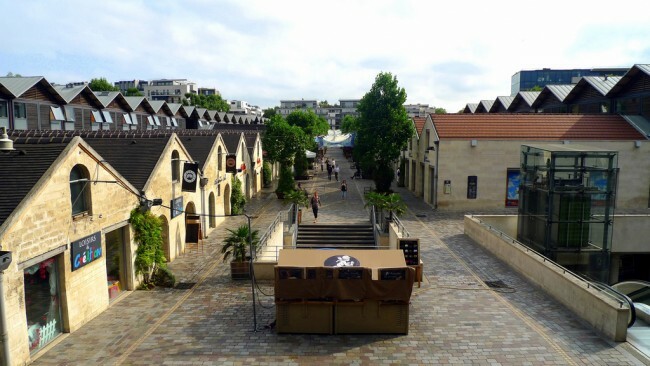 Entering Bercy Village is a bit like going back in time to a 19th-century French village. The area was nearly turned into shopping mall before the restoration project was proposed in the 1990s. Formerly a wine marketplace, today the white stone warehouses have been transformed into shops, restaurants, and galleries. The cobblestone lanes and colorful awnings covering its terraces provide a delightful contrast with the more modern buildings typically found in this corner of the 12th arrondissement. For a city with such a long history, Paris is impressively aesthetically unified, thanks to the white facades and wrought iron balconies brought on by Haussmann’s architectural overhaul during the 19th century. 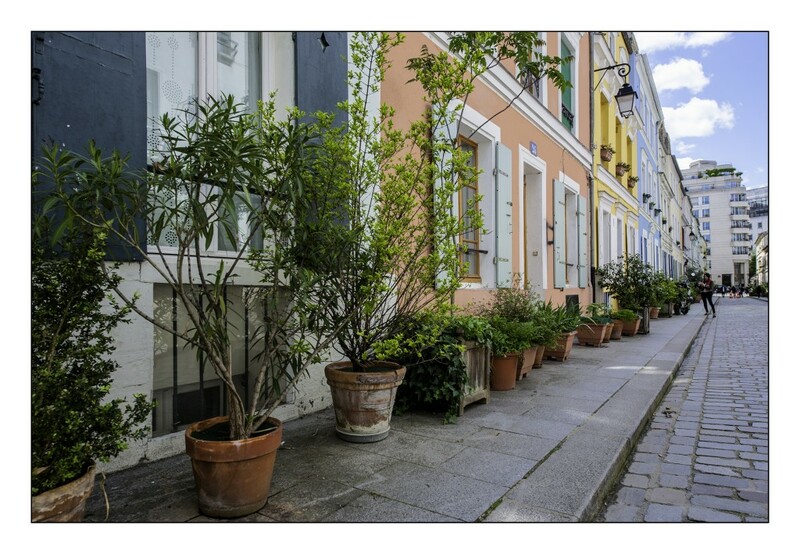 The colorful buildings of the rue Crémieux feel like they belong in a completely different city. Originally designed as an homage to the English style, the residents of this tiny pedestrian street have fully embraced their unique identity with vibrantly painted facades and flourishing greenery. Those familiar with the French blogosphere will surely recognize its cobblestone streets, as the charming pastels have made it a favorite backdrop among the local blogueuses.